Administrative Law Judge (ALJ), Stella L. Owens-Murrell, Office of Administrative Hearings (OAH), State of California, heard this matter on May 3-4, 2011, in Van Nuys, California. Student was represented at the hearing by her parent (Mother). Student did not attend the hearing. 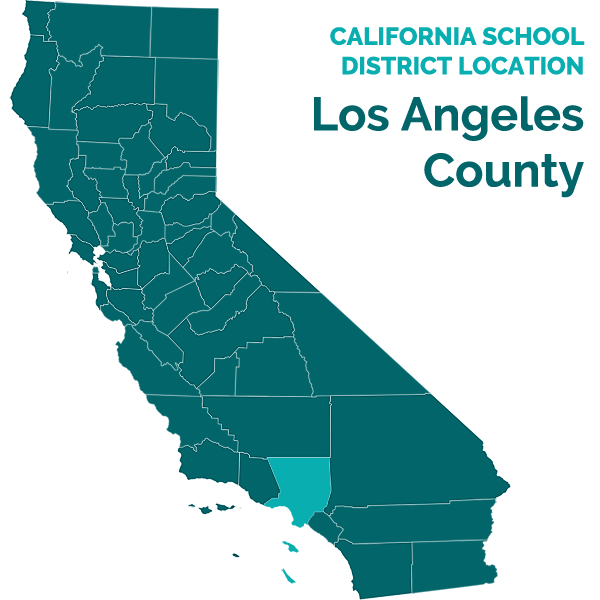 LAUSD (District) was represented at the hearing by Attorney Patrick Balucan. Giovanni Trevino, Due Process Specialist for District, also attended the hearing. Student filed a Due Process Hearing request (Complaint) on February 1, 2011. A continuance was granted on March 14, 2011. At hearing, a continuance was granted to May 18, 2011, to permit parties to file written closing arguments, at which time the record was closed and the matter was submitted. Did District deny Student a free appropriate public education (FAPE) from April 12, 2010 to January 25, 2011, by failing to offer placement in a special day class program (SDC) or smaller classroom setting instead of offering placement in a general education classroom setting with accommodations and supports? 1. Student was nine years of age at the time of the due process hearing. She lives with her parent in the jurisdictional boundaries of the District. She is eligible for special education services under the disability category of other health impairment (OHI) with a diagnosis of Attention Deficit Hyperactivity Disorder (ADHD). 2. Student was first found eligible for special education during first grade, when she was enrolled in the Palmdale School District (Palmdale). An initial Individualized Educational Program (IEP) dated June 4, 2009, determined Student was eligible for special education services under the disability category of OHI. Student was placed in a general education classroom with resource support in mathematics and designated instruction and services (DIS) counseling by the school psychologist. Student was also determined eligible for AB 3632 mental health services through the Department of Mental Health, which she received at the Child and Family Guidance Center. Student was placed on medication to treat her ADHD. 3. Student moved to the District from Palmdale and on April 12, 2010, and was enrolled in a second grade general education class with resource support and accommodations at Germain Elementary School (Germain), consistent with her most recent IEP from Palmdale. 4. District conducted a psychoeducational assessment of Student sometime following her enrollment at Germain. 5. An annual review IEP team meeting was convened on June 2, 2010. Mother attended the meeting. District IEP team members included Angela Madell, Special Education Teacher, and Susan Antonelli, School Psychologist. Based upon the assessment, the IEP team continued to find Student eligible for services under the OHI category. The IEP team developed present levels of performance and goals and objectives in the areas of social emotional, counseling, reading, writing, mathematics, and behavior. Ms. Antonelli commented in the IEP that Student’s behavior in the classroom needed improvement. She noted that Student was too talkative, constantly moving, fidgeting, easily distracted and unable to focus on learning. She also noted that Student had been physically aggressive in the play yard, was bossy, tattled on others about minor incidents and made rude comments to peers when she was upset. 6. The IEP offer for the 2010-2011 school year included (1) DIS counseling and guidance to be provided by the school psychologist, one to five times per month on a pull-out basis, for a total of 80 minutes; (2) resource support (RSP) in reading and writing one to five times weekly for 90 minutes, 30 minutes of which to be provided on a pull-out basis; (3) RSP in mathematics one to five times weekly for 60 minutes, 30 minutes of which to be provided on a pull-out basis; (4) AB 3632 services one to five times weekly for 120 minutes, to be provided by a mental health services provider; and (5) placement in a general education classroom with accommodations and supports including providing Student with preferential seating facing the source of instruction to minimize distractions, breaking tasks into smaller more manageable segments, providing a checklist of steps for mathematics procedures, providing accommodations for homework and spelling lists, using graphic organizers for writing, using a word bank for writing, non-reading tests read aloud, performing district assessments in small group setting, using manipulatives to reinforce mathematics concepts, and providing individualized behavior incentives. The offer also provided a Behavior Support Plan (BSP). Mother consented to the IEP. 7. Student’s progress report for the spring semester of the 2009-2010 school year established that she was “partially proficient” in Reading, Writing, Listening, Mathematics, History/Social Science, and Science. She was “proficient” in Speaking, Health Education, Art, and Physical Education. The progress report also showed Student was “proficient” in use of her time and in her acceptance of teacher authority, but was overall “partially proficient” in Work and Study Habits, as well as Learning and Social Skills. 8. During the fall semester of the 2010-2011 school year Mother expressed her concerns to District about Student’s behavior and lack of academic progress. District agreed to perform a comprehensive psychoeducational re-evaluation (assessment) of Student, at Mother’s request. 9. On January 10 and 21, 2011, a psychoeducational assessment was conducted by Ms. Antonelli and Ms. Madell, under Antonelli’s supervision. The test instruments used in the assessment included the Woodcock-Johnson III Tests of Achievement Form A (W-JIII), the Draw-a-Person Test and Story, the Cognitive Assessment System (CAS), the Bender Gestalt Visual Motor Integration Test, the Motor Free Visual Perception Test-3, the Test of Auditory Processing-3 (TAPS-3), and the Piers-Harris Self Concept Scale-Self Report. The assessment also included teacher observations, testing observations, school cumulative record review, Student interview, a review of Student’s family history, a health assessment, and report card review. Student was in the third grade and was nine years of age at the time of the assessment. 10. Ms. Antonelli had been a school psychologist with District for the past 19 years. She was assigned to Germain and Patrick Henry Elementary. Her duties included assessing students, attending IEP team meetings, consulting with parents and teachers, and counseling students. Ms. Antonelli had assessed Student upon her enrollment at Germain, attended Student’s June 2, 2010 and the January 25, 2011 IEP team meetings at Germain, and was providing Student’s DIS counseling services. 11. Ms. Madell had been employed with the District at Germain for a total of 14 years, initially as a Special Day Class Teacher for eight years, and as a Resource Teacher for the past six years. Her duties included conducting eligibility assessments, attending IEP team meetings and providing RSP. She attended Student’s June 2, 2010 and the January 25, 2011 IEP team meetings at Germain and provided RSP to Student. 12. Ms. Madell administered the W-JIII over two non-consecutive days and issued her Assessment Report. Student was tested in reading, written language, oral language, mathematics. Each of her scores in the reading subtests were in the low average range. Student’s scores in the written language subtests ranged from below average to mid average. Student scored in the high average range in oral language. Student scored below average range in all mathematics subtests indicating that mathematics was Student’s most significant area of need. Ms. Madell noted that, according to Student’s teacher reports, Student needed help remembering the procedures to solve basic mathematics problems; she struggled in the class and needed daily assistance to work through the mathematics problems and complete a task. California Standards Test (CST) test results for Student were in the category of Far Below Basic in the area of mathematics. 13. Ms. Madell conducted behavior/work habits and classroom observations supplemented by teacher interviews with Student’s current general education teacher. The report noted, according to Student’s general education teacher, Student talked in class and was social. She attempted to do her work independently though she often needed direction to stay on task, particularly in mathematics. She worked best in small groups, responded well to teacher authority, responded well to redirection and had a positive attitude. However, at times she had minor issues with other children in the yard during recess. During RSP time Student was respectful and eager to learn, and she put forth appropriate effort to learn and do her work. Student had a tendency to be sensitive and was upset when she perceived that another student had wronged her. Ms. Madell’s observations were generally consistent with the teachers’ reports. 14. Ms. Madell recommended continuation of instructional accommodations and supports such as preferential seating with limited distractions, breaking down tasks into smaller more manageable segments, a checklist of steps for math procedures, accommodated homework and spelling lists as appropriate, use of graphic organizers for writing, word bank for writing, non-reading tests read aloud, district assessments in small group settings, use of manipulatives to reinforce mathematics concepts, individualized behavior incentives, and repetition of directions to ensure comprehension. 15. Ms. Antonelli administered all other test instruments and assessed Student in all areas of cognitive functioning, general ability, processing, and social emotional. Ms. Antonelli reviewed school records, interviewed Student, Student’s RSP teacher, Student’s general education teacher, and the Assistant Principal. Palmdale’s records identified Student as delightful and considerate, and noted that Student engaged in activities presented to her. She also reviewed the health history which noted Student was receiving mental health services off campus and was under the care of a psychiatrist once a month. The report card history revealed a range of grades from “partially proficient” to “proficient” in all subject areas, and grades of “inconsistent” in Work and Study Habits and Learning and Social Skills. She observed Student in the classroom, as well as during counseling sessions conducted by her, and during assessment testing. She also reviewed Ms. Madell’s Assessment Report and incorporated the report’s conclusions and recommendations in the Psychoeducational Report’s summary and conclusions. 16. Ms. Antonelli issued District’s Psychoeducational Report on January 21, 2011. The report noted that in the area of general ability, Student’s ability to learn, apply knowledge, generalize, utilize abstract concepts and evaluate appeared to be in the average range. In the area of language expression and auditory processing, the report noted that Student was able to communicate her thoughts and ideas in casual conversation and on tests measuring her auditory processing (i.e., memory, phonologic skills, verbal reasoning) were commensurate with her cognitive ability. Student’s visual motor integration skills were below age level but her visual processing skills measuring reasoning, memory, differences, likenesses, and pattern completion were within the average range. In the area of social emotional functioning, her overall self-regard and self-esteem fell on the positive index and Student’s cognitive conceptualization skills were well within age-level expectations. Student’s attention skills fell in the well below average range. In the area of academic skills, Student’s broad reading was in the average range; broad math below average range; and broad writing was low average range. Ms. Antonelli concluded that Student possessed overall age-level capacity and, based upon input from Student’s teachers, that Student was capable of grade-level work. Ms. Antonelli concluded in the report that Student continued to meet the eligibility criteria for OHI due to characteristics consistent with ADHD that adversely affected Student’s educational performance. 17. District convened an IEP team meeting on January 25, 2011, to review the assessment results. Mother was present. District IEP team members included Ms. Antonelli, Ms. Madell, and James Smith, Student’s General Education Teacher. The IEP team discussed the assessment results and recommendations. The IEP team adopted the assessment recommendations and agreed Student remained eligible for services under the category of OHI due to Student’s ADHD. The IEP noted Student met some of her goals in Behavior Support and achieved some of the objectives in her Reading and Writing goals. Student had not met all of the academic goals. Additional counseling goals and academic goals were added. The IEP continued the program offered in the June 2, 2010 IEP with the following modifications: (1) decreased counseling services from 80 to 60 minutes; (2) in addition to the 90 minutes RSP math, an increase of RSP mathematics delivered on a pull out basis from 30 to 60 minutes, five times weekly; (3) increased RSP reading and writing from 90 to 120 minutes, including pullout services from 30 to 60 minutes, five times weekly. The IEP offered continued placement in a general education classroom at Germain with additional accommodations and supports consisting of having Student repeat directions to ensure comprehension. Mother declined to consent to the IEP, and informed the team that she disagreed with the services and placement and wanted Student placed in a SDC. 18. Mother testified that Student had been the victim of sexual abuse at an early age resulting in acting out behaviors that led to her referral for AB 3632 mental health services. Mother told the IEP team that since Student continued to struggle in her academics, Student belonged in a SDC in a smaller classroom environment with one-to-one attention to address her deficits in mathematics, reading and writing. Mother also believed a SDC would help address Student’s behaviors, which she observed at home. Mother further testified that District denied Student’s request for a SDC placement because Student was African American. Mother presented no additional witnesses or evidence to establish that a SDC was a more appropriate placement for Student, nor did she present any other evidence that the services offered were inappropriate. 19. Ms. Antonelli, who presented the Psychoeducational Report and recommendations at the January 25, 2011 IEP team meeting, provided testimony at hearing. At the time of the assessment Student was being counseled by her to address Student’s inability to ignore negative interaction with her peers. When she perceived rejection from other students and believed they did not want to be her friend, Student would become angry and frustrated. Ms. Antonelli observed that this conduct occurred primarily during recess and activities in the school yard; however, Student never exhibited any serious emotional problems during school hours and had never been referred to the principal’s office for her actions on campus. Ms. Antonelli agreed with the IEP offer because Student fit the pattern of a child who needed resource support rather than a SDC where the children were well below grade level. Despite her academic deficits in Mathematics, Reading and Writing and that she was prone to inattention, Student had overall grade-level ability and good processing skills. Based upon her knowledge of Student gained through counseling assessment and observations, Ms. Antonelli persuasively opined that Student was able to regulate her behavior in the general education classroom and that the offered placement was appropriate. 20. Ms. Madell, who provided additional input at the January 25, 2011 IEP team meeting, provided academic support in English and Mathematics, as well as behavior support in the learning center on a “push-in” model. Her RSP classroom had a five-to-one studentteacher ratio. She testified that from the time of the first annual review IEP on June 2, 2010 to the January 25, 2011 IEP, Student continued to generally improve academically and in her behavior, and was working toward grade-level standards. Ms. Madell credibly testified, based upon her experience and personal knowledge of Student, that the general education classroom setting with RSP and accommodations and supports was the most appropriate placement because Student worked well with the typical peers in the classroom, was making progress, and did not need the more restrictive classroom environment of a SDC. 21. James Smith was Student’s third grade teacher for the 2010-2011 school year. He had been employed with the District for 11 years as a teacher at Germain, and had taught general education classes from third to sixth grade for the past six years. He was familiar with Student’s educational needs because Student had attended his class since September 2010. During the January 25, 2011 IEP team meeting, he provided input concerning Student’s behavioral and academic progress. He had also provided this input for Student’s psychoeducational assessment. 22. At hearing Mr. Smith testified that there were approximately 24 children in his class, including Student. There was also an aide in the classroom that provided assistance to Student and other children when needed. The third grade curriculum was based on State and District standards. He explained that Student’s academic skills were low and that she had been struggling with Mathematics, Reading, and Writing. He further explained that more than one third of the children in this class were low academic performers and were also struggling in the same areas. As a result, his focus in the classroom had been on the areas of academic need possessed by Student and several other children in the class. 23. As of the time of the January 25, 2011 IEP, Student had shown improvement in all areas. Mr. Smith prepared Student’s progress report for the first and second quarter of the 2010-2011 school year, which showed that while she remained “partially proficient” in Mathematics, Reading, and Writing, Student was now “proficient” in History/Social Science, Science, and Listening. She also continued to show slow and steady progress in all subject areas. In Mathematics, Student had trouble with addition and subtraction, but she had begun to improve in her understanding of mathematics facts with the use of accommodations and RSP support. In Reading, Mr. Smith explained that while her reading and writing scores were not yet at grade level, Student had improved in reading fluency and comprehension through participation in Open Court Reading1 sessions and in small groups. In Writing, Student had difficulty spelling but she had begun to write clearer sentences and enjoyed writing stories. In the categories of Work Study Habits and Learning and Social Skills, Student had earned grades of “proficient”. 24. Regarding behavior, Mr. Smith described Student as very talkative in class at the beginning of the school year, which required him to redirect her to focus on her work. Student also engaged in arguments with other children on the school yard when Student felt rejected. While Mr. Smith believed that Student’s chatty behavior was not abnormal for a child with ADHD, Student’s classroom behavior had improved and the incidents on the school yard had substantially decreased. He attributed the improved behavior to the counseling services Student had received weekly and the additional work done in class under Student’s BSP to target Student’s behavior and social skills. He explained that Student had friends in class, enjoyed working with other children in the class, and her behaviors were never severe or out of control or such that would warrant reporting Student for disciplinary action. He described Student as a hard worker who was progressively able to redirect her conduct. She liked working in groups, and she understood consequences. 1 Open Court Reading is a reading program, developed by SRA/McGraw-Hill, used as part of District’s elementary school curriculum at all relevant times in this case for grades K-6. The program is designed to systematically teach decoding, comprehension, inquiry and investigation, and writing in a logical progression. Part 1, Preparing to Read, focuses on phonemic awareness, sounds and letters, phonics, fluency, and word knowledge. Part 2, Reading and Responding, emphasizes reading for understanding with literature, comprehension, inquiry, and practical reading applications. Part 3, Language Arts, focuses on communication skills such as spelling and vocabulary; writing process strategies; English language conventions such as grammar, speaking, and penmanship; and basic computer skills. 25. Mr. Smith persuasively explained that Student’s low academic test scores and “partially proficient” grades in Mathematics, Reading, and Writing were not in and of themselves a basis for placing Student in a SDC. Student made overall progress in academics, social skills and work study habits. Student worked well in the general education classroom setting with the appropriate accommodations and supports. Student was not a distraction to the teacher or the other children in the class. Student received substantial educational benefit as she continued to improve in her areas of academic need. Student also received non academic benefit from her interaction with typical children in the classroom and participation in group projects. Mr. Smith credibly testified that the IEP offer of continued placement in the general education classroom was appropriate. Mr. Smith persuasively explained that a SDC placement was inappropriate for Student because it would take her out of contact with typical children, and unlike Student who had some grade level skills, the students in the SDC generally had skills well below third grade level. 1. Student contends that the District denied her a FAPE from April 12, 2010, when she first entered the District, to January 25, 2011, by failing to offer an appropriate placement. Student specifically asserts that the January 25, 2011 IEP offer of placement in the third grade general education classroom is inappropriate for Student and is not based on Student’s unique individual needs. In particular, Student contends that she has been struggling in her academic subjects and has behavior problems which need individual attention in a more structured classroom environment such as a SDC placement. Student, who is of African American descent, also contends that District has discriminated against her on the basis of race.2 District disagrees and contends that despite the fact her grades and test scores in the areas of Mathematics, Reading, and Writing have remained in the “partially proficient” category and are below grade level, Student is at grade level in other areas of academics. In addition, Student has made substantial progress and has steadily improved in academics, work and study habits, learning and social skills. Finally, District asserts that the offered placement with accommodations and supports in the January 25, 2011 IEP provided Student a FAPE in the least restrictive environment. As discussed below Student has not met her burden of proof that she was denied a FAPE from April 12, 2010, when she first entered the District, through the January 25, 2011 IEP offer. 2 Mother’s testimony that District’s refusal to offer a SDC program to Student because of her race is not addressed here because as set forth in Legal Conclusion 4, below, OAH lacks jurisdiction to entertain claims based on alleged Federal or State civil rights violations. 4. The purpose of the Individuals with Disabilities Education Act (IDEA) (20 U.S.C. § 1400 et. seq.) is to “ensure that all children with disabilities have available to them a free appropriate public education” (FAPE), and to protect the rights of those children and their parents. (20 U.S.C. § 1400(d)(1)(A), (B), and (C); see also Ed. Code, § 56000.) A party has the right to present a complaint “with respect to any matter relating to the identification, evaluation, or educational placement of the child, or the provision of a free appropriate public education to such child.” (20 U.S.C. § 1415(b)(6); Ed. Code, § 56501, subd. (a) [party has a right to present a complaint regarding matters involving proposal or refusal to initiate or change the identification, assessment, or educational placement of a child; the provision of a FAPE to a child; the refusal of a parent or guardian to consent to an assessment of a child; or a disagreement between a parent or guardian and the public education agency as to the availability of a program appropriate for a child, including the question of financial responsibility].) The jurisdiction of OAH is limited to these matters. (see Wyner v. Manhattan Beach Unified Sch. Dist. (9th Cir. 2000) 223 F.3d 1026, 1028-1029 [holding OAH jurisdiction was limited to the point that it did not have jurisdiction to enforce its own orders].) OAH does not have jurisdiction to entertain claims based on alleged Federal or State civil rights violations. 11. To determine whether Student was offered a FAPE from April 12, 2010, through the January 25, 2011 IEP offer requires analysis of three time periods: 1) the time between Student’s enrollment and the June 2, 2010 IEP; 2) the June 2, 2010 IEP through January 25, 2011; and 3) the January 25, 2011 IEP. As discussed below, as to each of these time periods, Student did not meet her burden of showing by a preponderance of the evidence that she was denied a FAPE. Education Code section 56507, subdivision (d), requires that this Decision indicate the extent to which each party prevailed on each issue heard and decided in this due process matter. The District prevailed on the sole issue presented.